The Online News Association (ONA), a membership organization for digital journalists, is part of a new exhibit featured in the Digital News Gallery of the Newseum, a 250,000-square-foot interactive museum of news in Washington, D.C. 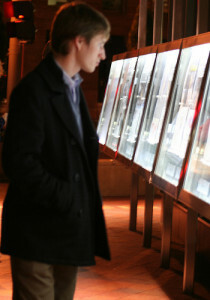 Winners of the 2009 Online Journalism Awards (OJAs), which are given out by the ONA, will be the focus of the exhibit. It will expand in the next year to include the entire past decade of digital journalism since the awards’ inception. Interviews with previous OJA winners will shed light on the early days of the industry. There is now also a section on the Newseum web site dedicated to the OJAs. A full list of 2009 OJA winners can be found on the ONA web site. Image by Elvert Barnes on Flickr, used under its Creative Commons license.